The future is definitely going to be wireless, and not just when it comes to data. eCoupled has been figuring out ways to power and charge all of your stuff without wires, from cell phones to laptops to Tesla Roadsters. eCoupled uses what are called induction coils to transfer power between two surfaces without wires. The coils are thin enough that they can be built directly into cases and batteries, and if you've seen wireless chargers from Energizer, they've got eCoupled tech inside. At CES, Fulton Innovation is displaying a bunch of different ways that their eCoupled inductive technology will make our lives tangle-free in the near future. 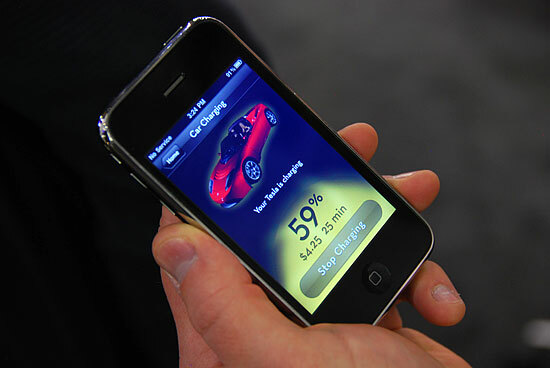 Laptops and cell phones that power and charge wirelessly using built-in coils are just one aspect of what's possible. eCoupled also has tables and counter tops that provide power directly to things like blenders, and the coils are cheap enough that you can build them into cereal boxes and soup cans to get them to light up and heat themselves. They've also managed to build an inductive receiver into a Tesla Roadster, which was happily charging in the middle of their booth. Their wireless system is about 90% as efficient as charging with a plug, and is luckily smart enough to shut itself off if your cat crawls under the car, although eCoupled promises that the magnetic fields aren't dangerous. The whole thing is controlled with an iPhone app. 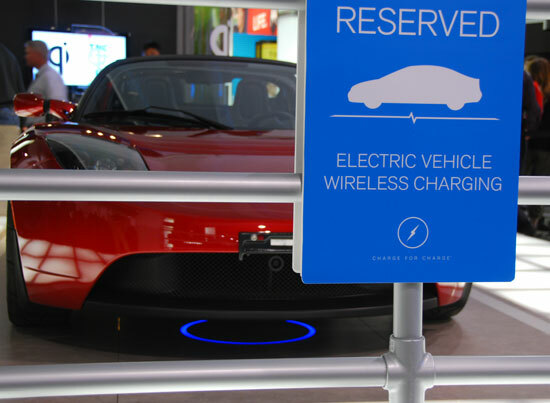 Since the costs of installing a wireless power transmitter are comparable to a standard charging station, eCoupled is hoping that cities and businesses will start installing chargers in parking spots to entice all those electric cars out there to stop in for a quick charge.